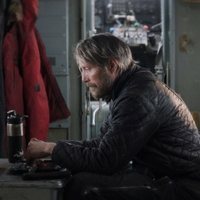 The film stars Mads Mikkelsen in the role of Overgård, a man who is stranded somewhere in the Arctic after his plane went down. His co-pilote did not survive the crash and this film begins with a messy pile of black of stones marking the make-shift grave Overgård has made for his colleague. 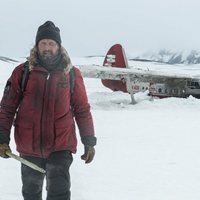 He has managed to fashion a make-shift shelter from the cockpit of his plane, and lives off of fish he manages to catch and freeze in the ice. After several months of being stranded, a rescue helicopter discovers his whereabouts, which, too, promptly crashes, leaving only one pilot alive and badly wounded. Overgård therefore has to try and leave the site of the crashes in order to attempt to save both of their lives, with a small chance of success. 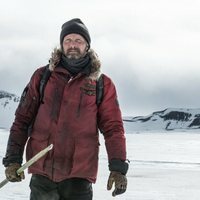 Write your own 'Arctic' review. The director started on Youtube in 2006 making videos, as the channel MysteryGuitarMan. This is his first feature film. 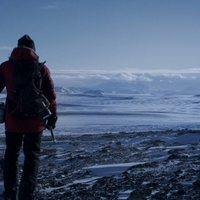 Received a 10-minute standing ovation at its premiere at the 2018 Cannes Film Festival.